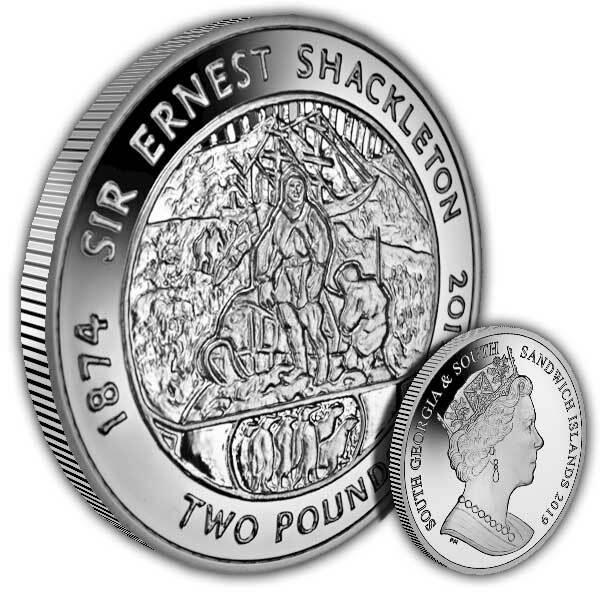 To commemorate the 145th Anniversary of his birth and also the 115th Anniversary of being awarded the Royal Geographical Society Silver Medal in 1904, the design on the coin is based upon the Silver medal which shows an Antarctic scene with members of the sledging party, the ship and a sledge. Penguins and seals can be seen in the plinth below. 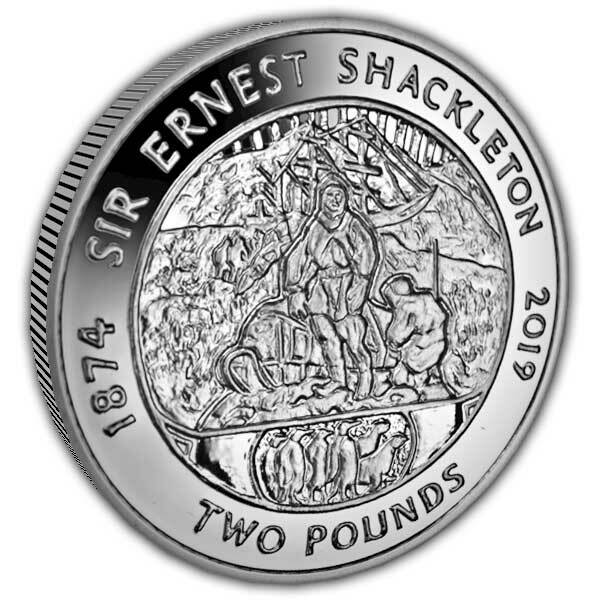 Born on 15th February 1874, Sir Ernest Shackleton wanted to be an explorer from a very early age, inspired by faraway places that he had read about as a boy. At the age of 16, bored by the school curriculum, he went to work in the Merchant Navy. His big break came when he was 27 years old when he was selected to join Robert Falcon Scott’s Discovery Expedition. 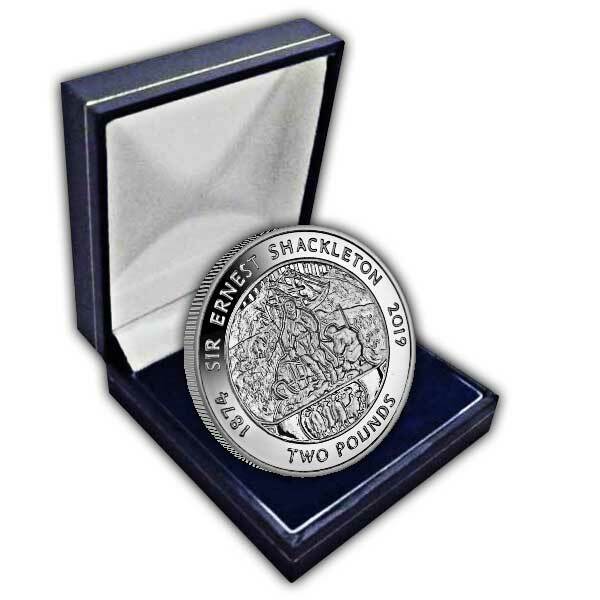 Departing England on 31st July 1901, it was the first major British exploration of the Antarctic for sixty years.